Writing a quick introduction to a country’s history is never easy. There is so much to choose from and one must decide on what to focus. A complete history of Japan would be impossible in such a small volume. The book does not try to cover all of Japan’s history, instead it acts as a quick guide and starting point for further reading. I still found it too short though, it barely scratched the surface. I would not mind if it had been a hundred pages longer. A Traveller’s History of Japan was a bit too short and did not go into enough detail for me. I wish it would tell us more about each period in time, how life was like. 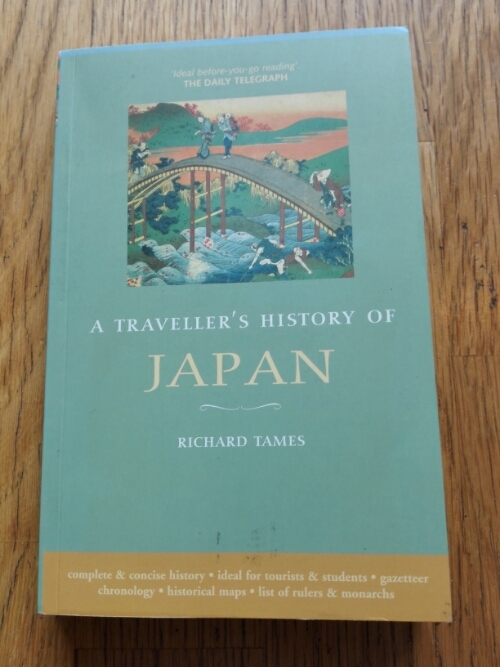 As an overview of Japan’s history it could work, but there are better books like that out there. A History of Japan, by Mason and Caiger is one I can recommend. For more Japanese books, see my Books from Japan Page. For more books, see my Book Reviews Page.